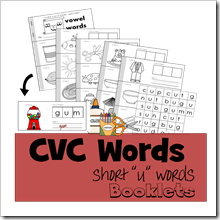 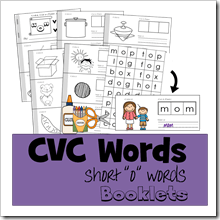 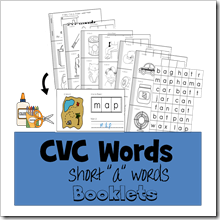 Help kids practice CVC words with short a vowels with this free printable booklet that allows preschool, kindergarten, and 1st grade kids to practice sounding out and spelling 17 CVC words color, cut and paste, and writing. 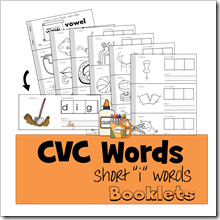 Simply print all 7 pages in black and white. 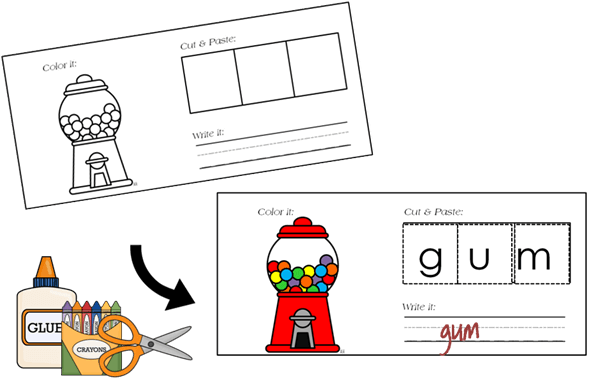 Cut apart and staple together where indicated. 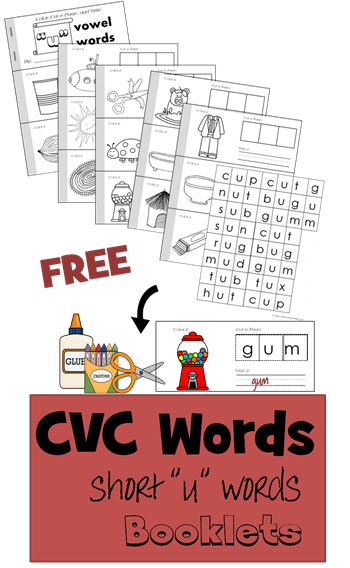 Kids can practice CVC words as they color the picture, cut & paste the letters to practice the CVC words, and write the word to practice forming letters and words. 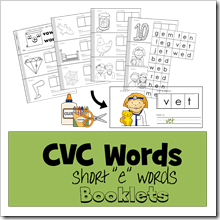 This is a fun, no prep activity for preschool, kindergarten, and 1st grade kids.